Totara Learn is an open source LMS designed for the corporate world, healthcare organizations, and government agencies. The audiences and hierarchy features were designed to help you recreate the complex organizational chart of these entities and develop an LMS that helps you meet your training goals. Here is what you need to know about these two features. 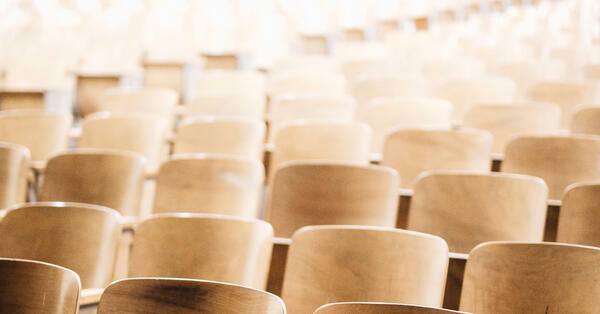 What is Audience Management in Totara Learn? Audiences is a feature that allows you to organize users into groups. You can manually add users to a group, or set rules to automate the process. Using HR data is particularly useful since you can define audience membership based on who has completed a specific course. Once users are organized into groups, you can use Audiences to assign a course, program, or certification to an entire group. You can also assign goals, system roles, or learning templates. You can easily customize this feature by creating different rule sets for managing your audiences. There is a nested audience feature that lets you create rules or assign learning content to more than one group. What is the Hierarchy Feature? Positions. Assign job roles to users so that their status reflects their role in your organization. For instance, a manager could assign courses to the employees they are responsible for and review their performance within the LMS. Competency. You can create a hierarchy based on user performance, course completion and other factors. This is a great way to encourage users to mentor and share their knowledge with others once they successfully complete a course or program. Goals. You can set goals at a high level and create a hierarchy that reflects smaller objectives for each audience or user. Organization. You can organize your LMS to reflect the hierarchy of your business. This feature allows you to create a hierarchy with different departments, regions, teams, and more. Tenant hierarchies. This feature would be particularly useful for a vendor offering training to different clients. These are a few examples of the benefits of leveraging these features to organize your LMS. You need an LMS that allows you to set, track, and manage goals at an individual level. Your organization might implement a new training program to improve safety or boost customer satisfaction. These organization-wide goals would need to be translated into smaller goals that are relevant to each team, department, or individual. You can use the audiences and hierarchy feature to assign customized goals and benchmarks to each user or group and meet these company-wide goals. The way an LMS is managed can have a significant impact on user experience and engagement. Organizing your LMS and assigning roles to managers who can assign content to their team and review the performance of a small number of users will result in learners receiving more attention and accessing more content that is relevant to them. A manager who observes strengths and weaknesses when monitoring employee performances on the job could, for instance, assign training modules in your LMS thanks to a position-based hierarchy. Letting managers handle tasks such as assigning learning content, creating learning paths or managing certifications will allow HR and training professionals to focus on other tasks. Setting rules for audience management creates a seamless experience for users. You can create rules that will automatically move a user to a specific group where they will have access to the most relevant training modules in function of their goals, learning paths, or past performance. You could, for example, create an audience for new employees who need to complete an onboarding program before being automatically moved to a different audience where they will be able to create a customized learning plan. Lambda Solutions can help with implementing an LMS like Totara Learn and guide you through the process of setting up your audiences and hierarchy. Don't hesitate to contact us if you would like to find out how these features would help you create an LMS that reflects your organizational chart.